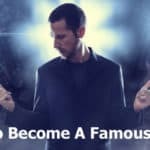 Do you want to start a singing career? There are certain things that you require to know. For instance, if you want to improve your singing career, you will have to learn to how to sing in harmony. Similarly, singing without music and learning to sing in a group are also very important. Stop dreaming without doing any preparation! Every celebrity singer comes to the stage with preparation and capability since they were young. How to make it happen despite it has always been a dream for you. 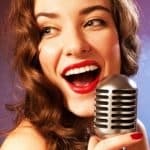 Here are Steps and tips for you to kick-start your singing career. 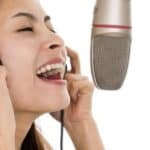 If you don’t have these skills, you’ll not able to improve your singing career. Learning how to sing the songs in professional way and how to handle auditions properly are also essential to jump start a singing career. However, the best way to inculcate all of these and more skills is practice. It may sound like preaching and boring, but practice makes a man perfect. And singing is not an exception. Experimentation also goes a long way towards success in your singing career as well as how to improve a singing career. After all, it takes a lot of practice such as a good warm up routine, the inner drive to get things done, and a keen desire of originality. You need to work hard. First and foremost thing is to learn to read music well. Then apply that knowledge of music to practice original songs. A budding singer can’t improve a singing career without the knowledge of reading the music, no matter how well he sings. Practicing songs that you haven’t heard. That way, you will be able to add your own distinct flavor to your singing. You need to avoid copying what you’ve already heard exactly. It is very important that you choose the right song to demonstrate your talent. Most singers will have to choose a song that was made famous by another artist. Singing somebody else’s song is okay, just make sure it is the correct one for you. While choosing the right song may seem simple, there can be many pitfalls. Be aware of your vocal range and ability. Start your singing career on the right note by choosing a song that fits your range. Don’t feel inadequate if you can’t sing in the range of someone like Al Green. Every singer is different and brings varying talents to the stage. Be proud of your ability and sing with power. Hiring an instructor is another optional way to get you prepared. An experienced instructor is the best bet. Nothing is quite like having someone to guide you and help you to recognize your weak as well as strong points. However, it’s very important that the instructor you hire should be an experienced one who have excellent track record in singing. An experienced instructor will provide you the answers of every question regarding your singing career. Family and friends are also great to provide you with the valuable suggestions that can make a huge difference. 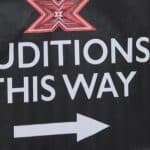 It’s possible that any of your family members or friends may not have music industry experience to judge your performances. But even in that case they can provide you with input from the audiences point if view. Therefore, a professional coach is very important to improve a singing career. Of course, it doesn’t mean friends and family members are useless. Support from family members and friends can go a long way toward boosting your confidence and thus your singing career. So, consider these aspects that are very crucial to improve a singing career. These tips will add some spice to your singing. After all, you are going to start a singing career. So, remember these tips, as you are learning to sing and perform better. They can really add some spice to your performance. After all, to improve a singing career you need to use every tool at your disposal. You are most likely interested in what record companies look for. They are looking for a combination of talent and unique personality that will sell to an audience. Many people refer to this as the “X Factor.” Nobody is born with the “X Factor.” Every famous singer started from the bottom. Most began by singing their favorite songs. Look at popular shows like American Idol or popular bands that do cover songs. Through hard work, persistence, and dedication they developed the “X Factor” and got noticed by record companies. Enjoy your singing journey. Choose the right song to begin, and you will be on your way. Writing your own songs is also very beneficial, for obvious reasons. Always try to keep things as original and fresh as possible as you can. There are many famous who write and sing their own songs even they hadn’t signed up for any record deals. I Like sing a song but i don’t deserve any professional singer hired.this my Week point. How to improve vocal. And her vocies can you guide me. Please reply sir. I think these tips might work. I’ve loved singing but i don’t think i need a teacher or anything. Maybe i’ll be the next best thing, maybe. Hehe. My dream is to be a famous singer one day.